Both the teams have started the World Cup campaigns with a win each. India’s win against Pakistan will give India a bucketfull of confidence having lost the warm-up against Australia previously. In the test series downunder, Indians were beaten down and out by the might of the Aussies. The same story happened in Carlton Mid Series too. The only win came up in the warm-up game against Afghanistan. India having won against their biggest arch rival Pakistan are looking to turn the table to their advantage. The win against Pakistan would have given them a good amount of belief and confidence. 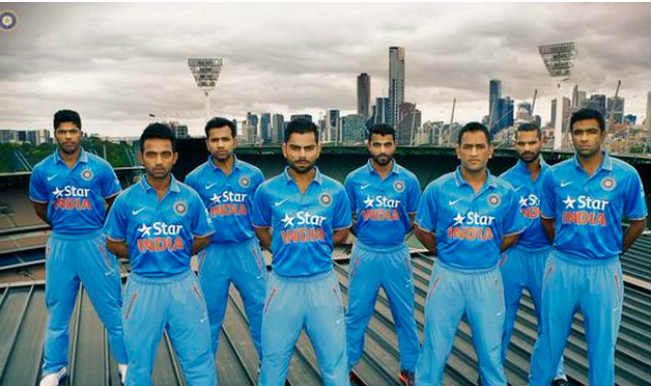 Men in blue will lock horns against a power-packed South African team. Major takeaways from the match will be coming to back form from our talisman – Virat Kohli. Dhawan showed promise with the bat, Shami and Mohit Sharma with the ball. Dhawan who was out form for a very long period is now looking in good shape ahead of the big campaign. In his last three innings he has had luck with the bat three times, scoring two half centuries though he will need to convert them into big tons. Advantage for India with Rohit performing India’s opening looks strong with Virat coming at No.3 and guys like Raina,Rahane, Dhoni, Jadeja will chip in. The deadly duo of Morkel-Steyn is to be feared with. We will need to be not feel complacent at the moment. They have an effective third seamer in Vernon Philander. Going by the famous Steve Jobs quote, ” Stay hungry. Stay foolish”. This will be applicable in the case of Raina. He is hungry for runs, and he is making a lot of critics shower praises on him. Raina is someone who can go from the word go. With Dhoni massively under-performing, Raina will need to guard against complacency and let the bat do the talking to his critics. The best thing about Raina is, he is a team player. He brings inspiration to the team on the field and off the field. The best thing Raina successfully did against Pakistan was, he never allowed the bowlers to settle in. He kept attacking them and pursued the captain to take them out of attack. A major chunk of our worries are related to our bowling. We bowled well against Pakistan but it was on familiar grounds. Cometh Sunday, margin for error will be minimal against the likes of Amla, Devilliers, Miller, Duplessis. Most probably India will go with same bowling combo of Mohit-Umesh-Shami but there is a general feeling that, if Bhuvaneshwar Kumar is 100% fit he should play the match. Bhuvaneshwar looks more lethal with the new ball and has the ability to pick up early wickets. He can also make quality use of the swinging conditions like Trent Boult does it for New Zealand. A win in this game will give India a good belief of defending their World Cup India needs to go positive and go hard against Proteas and put them under pressure. The way Zimbabwe put pressure against South Africa will be an eye opener for India. Stay hungry. Stay foolish. Cometh Sunday, Feb 22nd the Men in Blue will lock horns against the massive Proteas. The better bowling team will win the match. It will be a close encounter for sure. India is yet to register a win against them and South Africa is yet to bag a World Cup trophy to their credit. Both the teams have big statements to make. The stakes are high. In the end, cricket will be the winner.